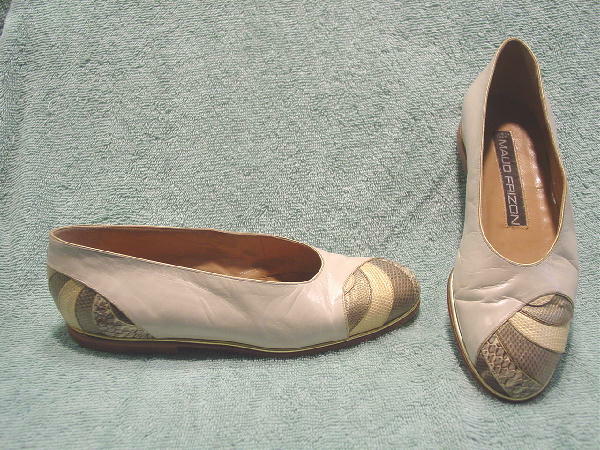 These vintage bone leather flats have a gold lame trim edging at the base of the shoe. 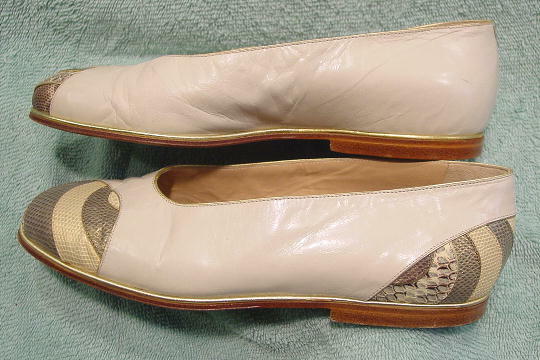 The toe area and the outer back side have a rounded shaped area with various types and colors of snakeskin. The snakeskin is in golden-bronze, pearlized yellow-cream, and gray-brown-bone. 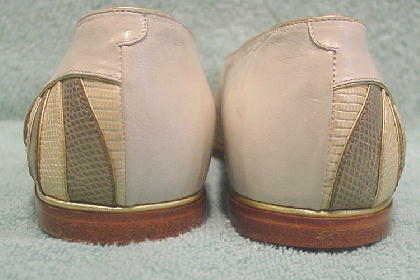 The soft leather has wrinkles and a few scuff marks. She said she only wore them twice.